Contains 68 volumes from respected pastors and scholars concerning the 4 Great Awakenings! Take an exhaustive look into the causes and results Great Awakenings! "[Revival is] the return of the Church from her backslidings, and the conversion of sinners." 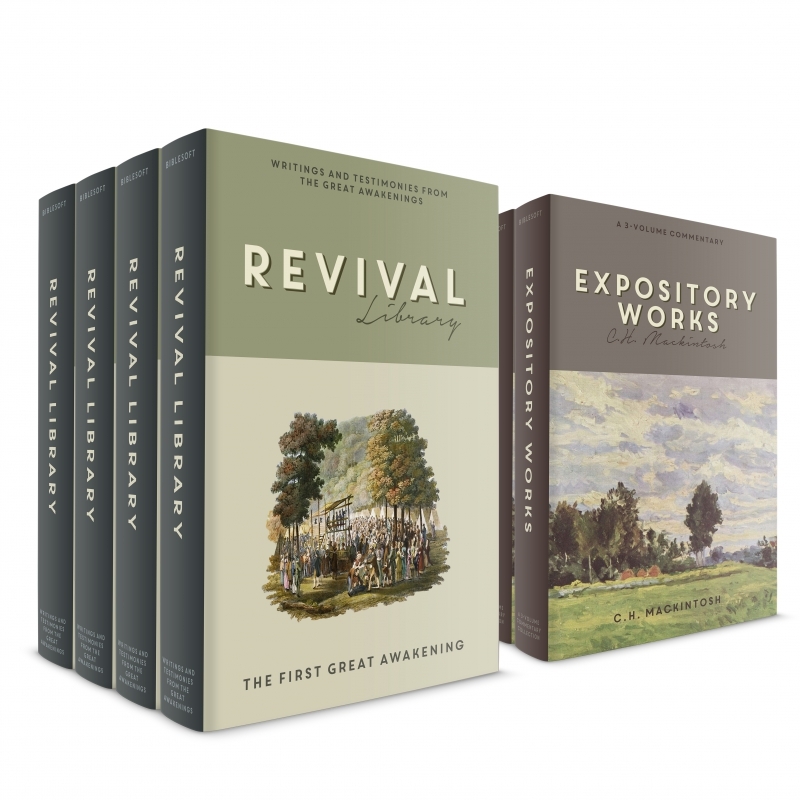 The Revival Library 4-volume Collection contains spirit-stirring writings from leaders on the frontlines of some of the greatest revivals. This robust collection includes over 8,000 pages of sermons, biographies, histories, and other writings directly from the leaders of these popular movements. Their passion and heart for God that helped form these Great Awakenings continue to inspire and challenge Christians today. These 68 titles cover these Awakenings between 1727-1900's. From John Edwards to John Wesley, these writings provide insight into the heart and mind of those on the forefront of historic revivals. 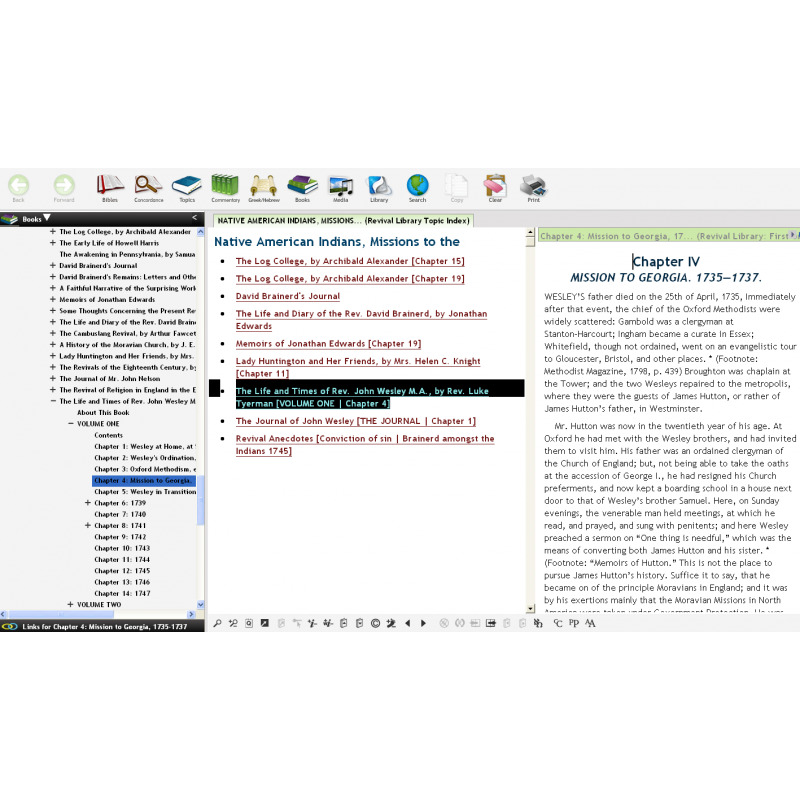 In addition, we have included a Topical Index to help you browse these incredible works via meaningful topics inPC Study Bible. 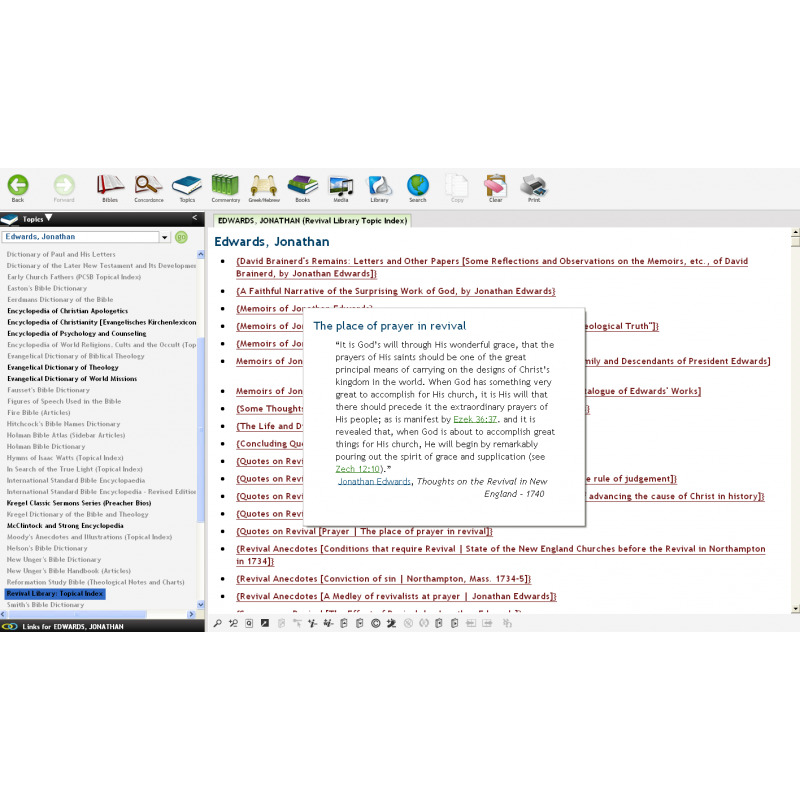 The added value of linked Bible verses and topic links make these works a significant contribution to your library. 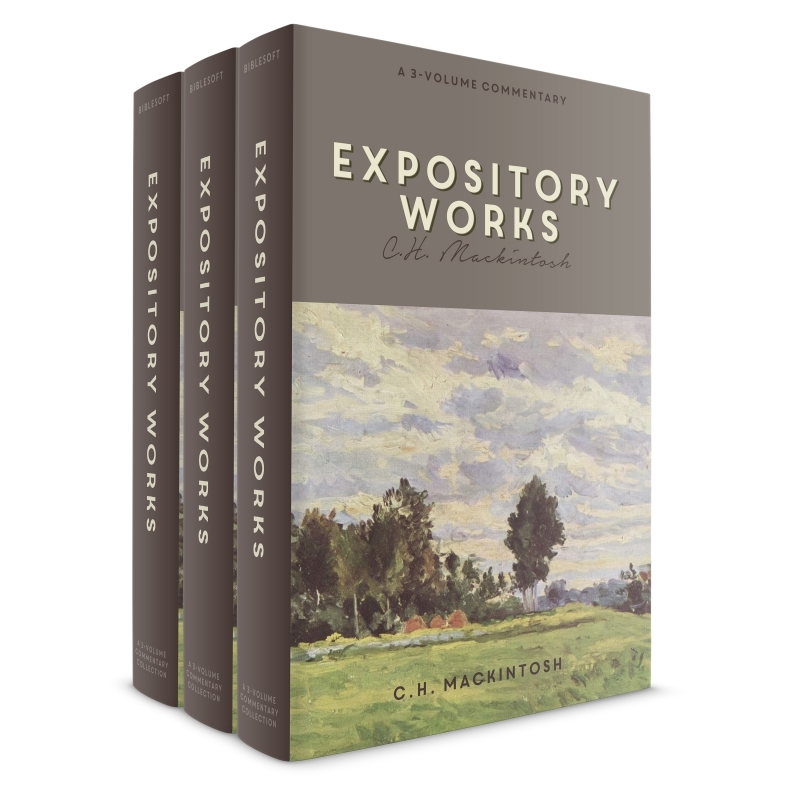 As an added bonus, we are including the Expository Writings of C.H. Mackintosh! The American Revivals: A Lecture, by B. Evans, D.D. The '59 Revival: An Authentic History of the Great Ulster Awakening of 1859, by Ian R. K. Paisley D.D. The Story of the Welsh Revival, by Arthur Goodrich, G. Campbell Morgan, etc. 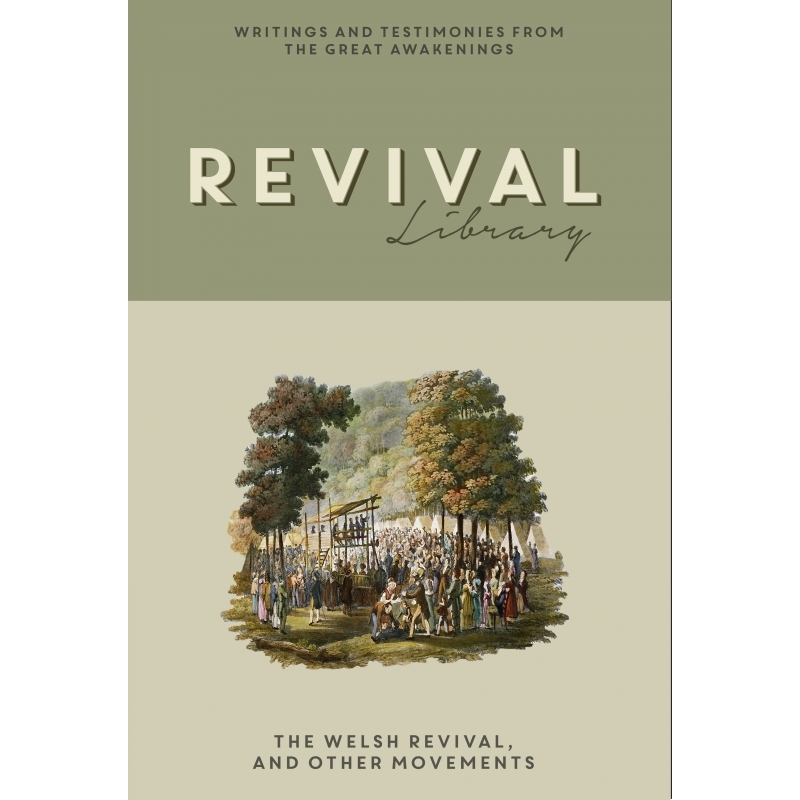 The Welsh Religious Revival: A Retrospect and a Criticism, by J. Vyrnwy Morgan, D.D. 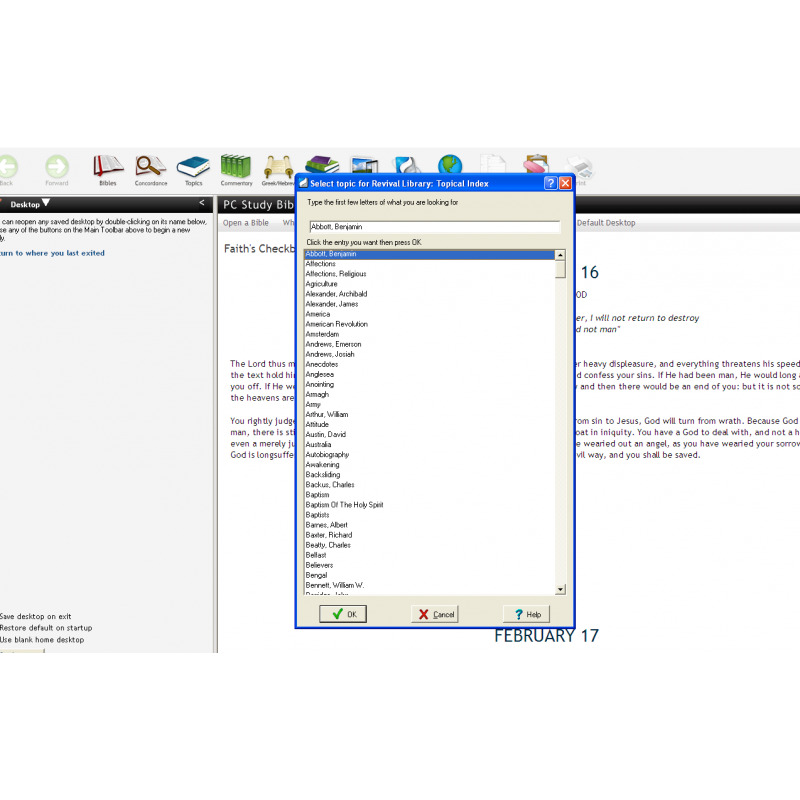 The hover feature (in Version 5.2) allows for a quick look at each section.